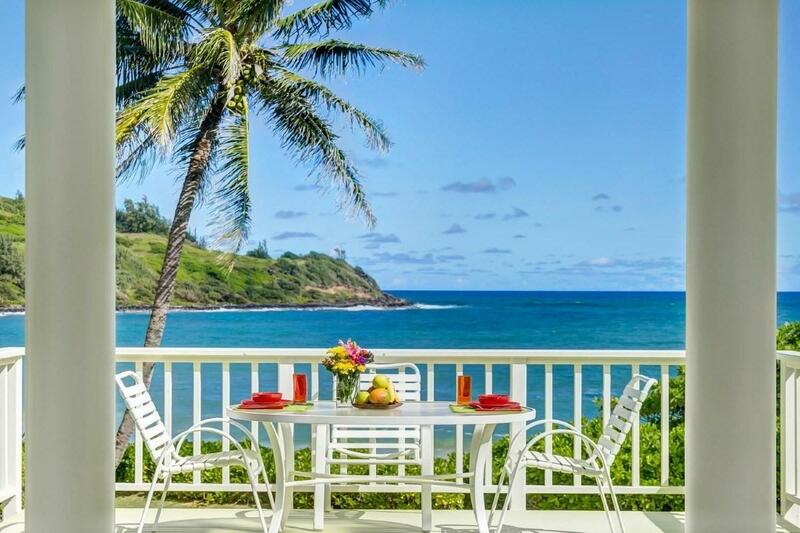 The most spectacular oceanfront estate on Moloa'a Bay is available for sale! 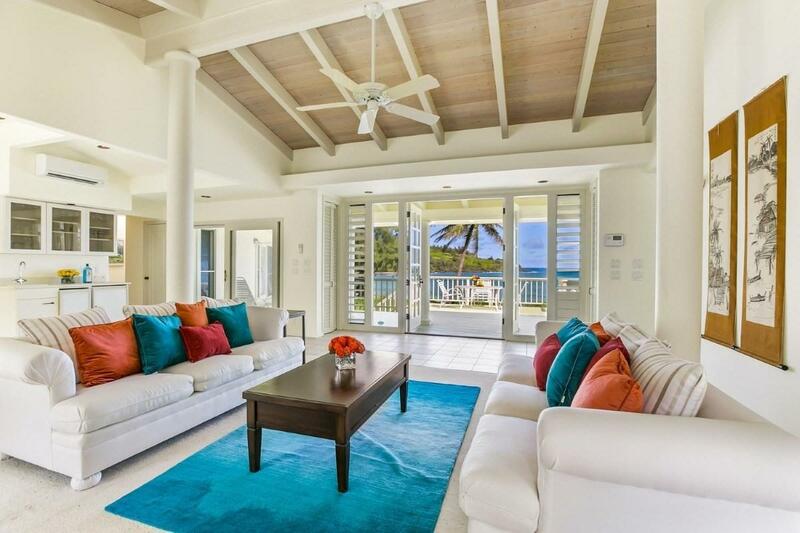 Perfectly situated on the Bay with a beautiful home, swimming pool and spa. Offering a step back in time to "Old Hawaii where parts of the TV show "Gilligans Island were filmed. 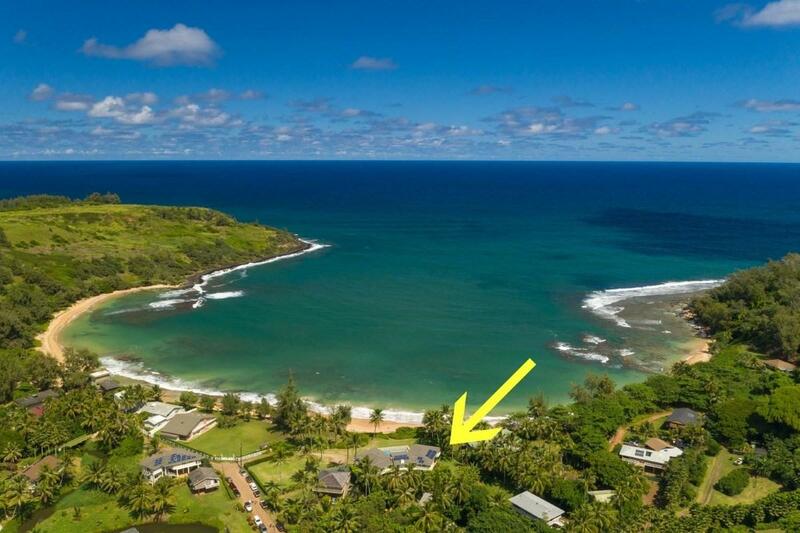 Located on the eastern side of Kauai, this quaint, quiet neighborhood sits on the most beautiful crescent Bay that offers a sense of peace and fine living. This 3 bedroom 3.5 bath home enjoys breathtaking ocean views from every bedroom and living area while also offering excellent light and airflow. The layout and extremely well-built nature of the home allows for many possibilities for your personal touch. Home comes furnished along with original art work in oil and watercolor. Inventory list will be provided, less Sellers' personal effects. 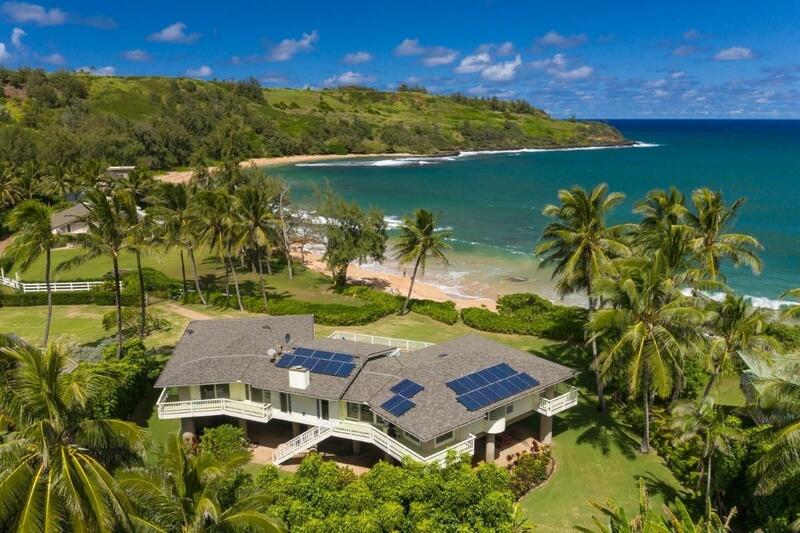 The property is beautifully landscaped and comes with its own private well and photo-voltaic system. This home must be sold in conjunction with the neighboring lot, TMK 4-4-9-14-12, MLS 620390, allowing you to build an additional home should you so choose. When combined it provides for over an acre of land on Moloaa Bay. Are you ready to step off your front porch and onto the pearly beach sand of a tucked away Bay? Dont miss this rare opportunity!